Litet, iögonfallande hänge med filigran och larimar. Handgjort hängsmycke i sterling silver med en rund, cabuchonslipad larimar. Hänget är vackert utsmyckat med traditionellt, balinesiskt filigranmönster som visar sig i de 2 små silverkulorna i hängets botten, samt den utstansade hängöglan i toppen. Stenen mäter: ca 8 mm i diam. Tumbled Larimar (Dominican Republic) - Tumbled Larimar is a beautiful mix of pale blue and white. Those who find themselves overly-critical of themselves and others, can use Larimar to gently open the heart and mind. 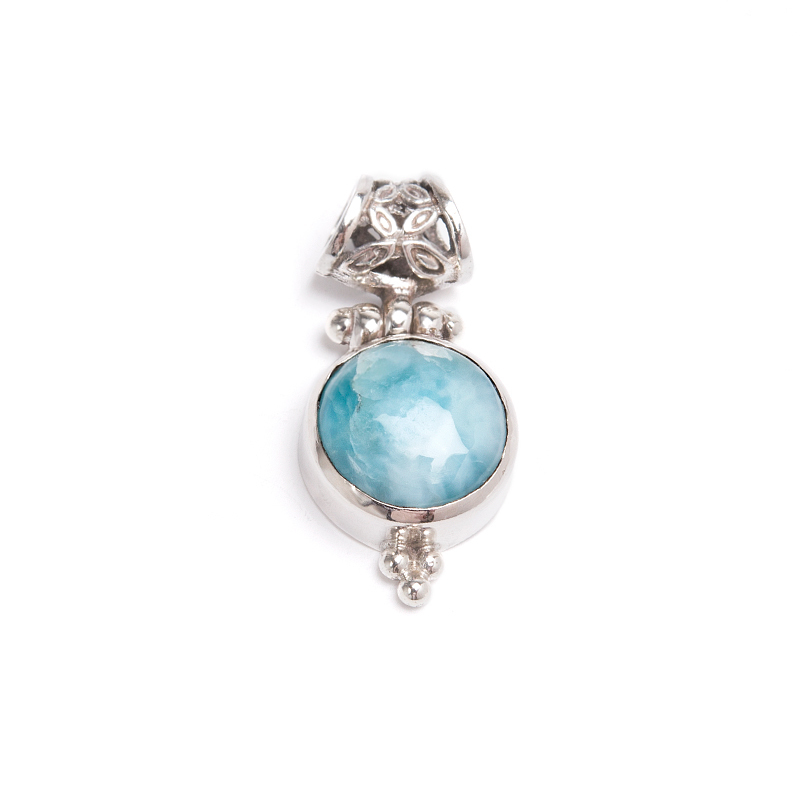 Larimar brings in the energy of a more positive perspective. Larimar helps to clarify the user's current perception of all things in life that need to change, both within and without, and supports the process of change. Tumbled Larimar is perfect to carry in a pocket or pouch. Larimar is an amazing addition to any type of healing session.